All boys attend Assembly with their class. It is an important part of the School day. There are items of School and other news mentioned, and much of the School's normal, ethical and philosophical teaching takes place, by way of stories, examples from history and famous lives, poetry, etc. It is an occasion for reinforcing positive community values and individual attributes, for celebrating successes and individual achievements, and for emphasising core qualities such as honesty, unselfishness, determination, self-discipline, initiative and so on. Pupils often participate in the Assembly. The Pre-Prep have their own assemblies each day except on Friday. Years 3 to 8 have full main-school assemblies on Mondays (with the Headmaster) and Wednesdays. On Tuesdays, Years 3 to 5 have their own assembly, while Years 6 to 8 have a form lesson; on Thursdays the situation is reversed. 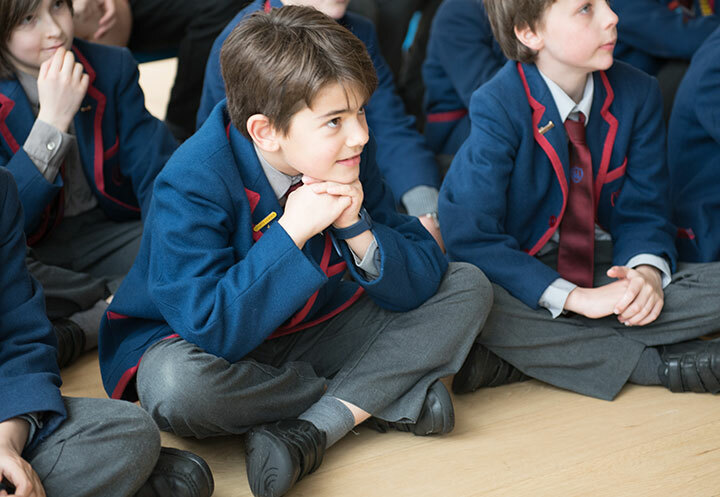 On Fridays, the whole School (including the Pre-Prep) gather for a "Merit Assembly" in which the pupils' achievements are celebrated by means of issuing awards and commendations, etc.